My JW Friend Needs a Blood Transfusion and Won't Allow It! I have a friend who broke his back riding a motorcycle last week. He needs a blood transfusion so he can have an operation to get the feeling back in his legs. He won’t let them give him blood. How can I show him he’s wrong in a loving manner? I did copy Patrick Zukeran’s article on Jehovah’s Witnesses and the Trinity to share with his wife who isn’t a Christian. I think she can get the gist of it. 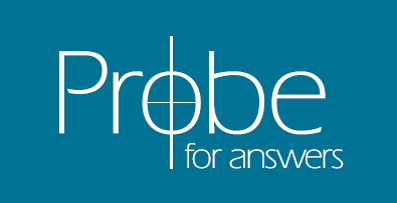 We at Probe will be praying for your situation. It is all too common among Jehovah’s Witnesses. First of all, I believe there is a law for doctors that if a JW needs blood, they have the right to overrule the wishes of the JW church and family members and give blood. Make sure your doctors are aware of this law. It applies in the U.S.; I don’t know about other countries. Second, the Bible in the Old Testament law, Leviticus 3:17 and other passages, forbid the eating of blood. Also in Acts 15:20, the apostles wrestled with the whole issue of eating meat with blood. One thing to understand here and make this very clear, eating blood and receiving a blood transfusion are two different things. When you eat blood it goes down the digestive tract into the stomach. When we receive a blood transfusion, it goes into an entirely different system, the cardiovascular system, the blood veins to the heart. We are talking about two different system, one the digestive system and the other the cardiovascular system. The Old Testament law forbids the eating of blood (the digestive tract), but it does not forbid blood transfusion (the cardiovascular tract), to save a life. False interpretation of the Watchtower does have its consequences. "How Do I Talk to My Friend Who's Deceived by Eastern Thought?"